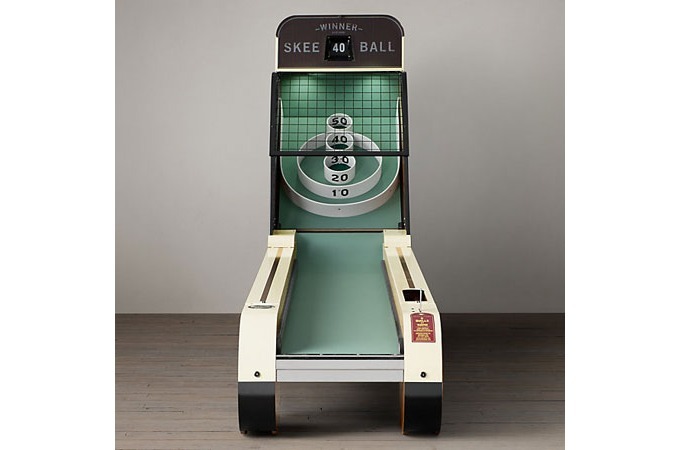 The 13th Centennial Alley is a throw-back to the vintage Skee-Ball alleys of the 1930s. 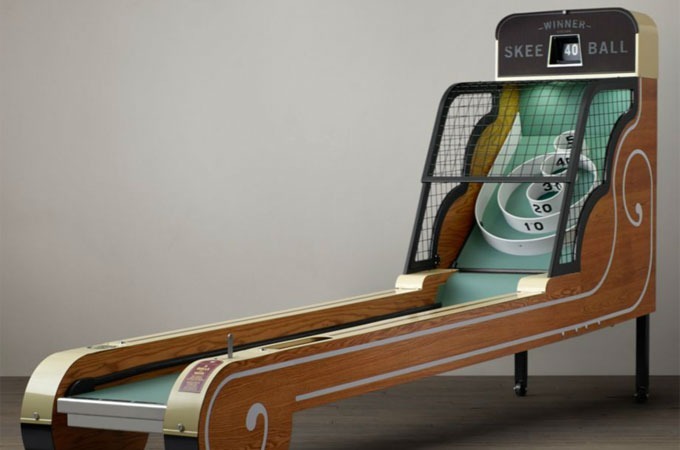 It's has the art deco look of the 1920s and 1930s Skee Ball alley. It even has a ball release lever and flip score display like the original 1930s alleys. But don't be fooled, the interior is 21st Century, with modern electronics. 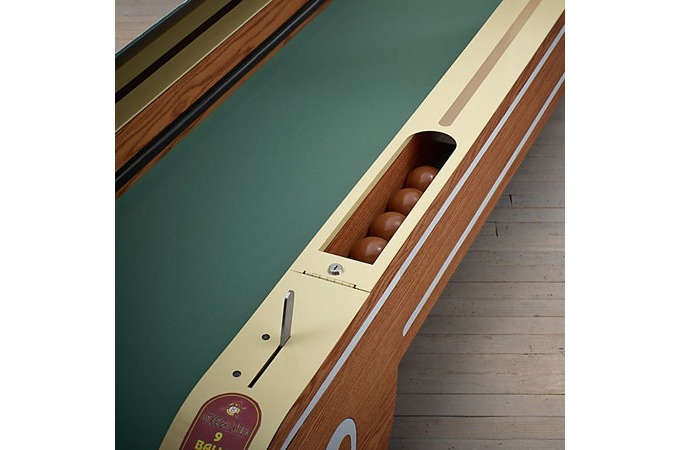 The alley was created for both enthusiasts and collectors and price is said to be somewhere around $7,000 each.